Math Ready v3 is now available! This course emphasizes understanding of mathematics concepts rather than just memorizing procedures. Math Ready students learn the context behind procedures and understand why to use a certain formula or method to solve a problem. By engaging students in real-world applications, Math Ready develops critical thinking skills that students will use in college and their careers. 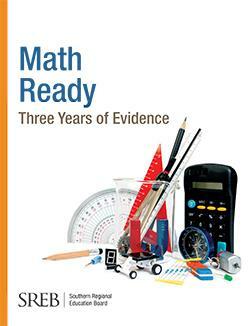 Note that Math Ready is not designed to prepare students for advanced mathematics in STEM majors. Click here to access the Math Ready course standards. This study examines three years of data collected from 35 schools in five states that implemented Math Ready. 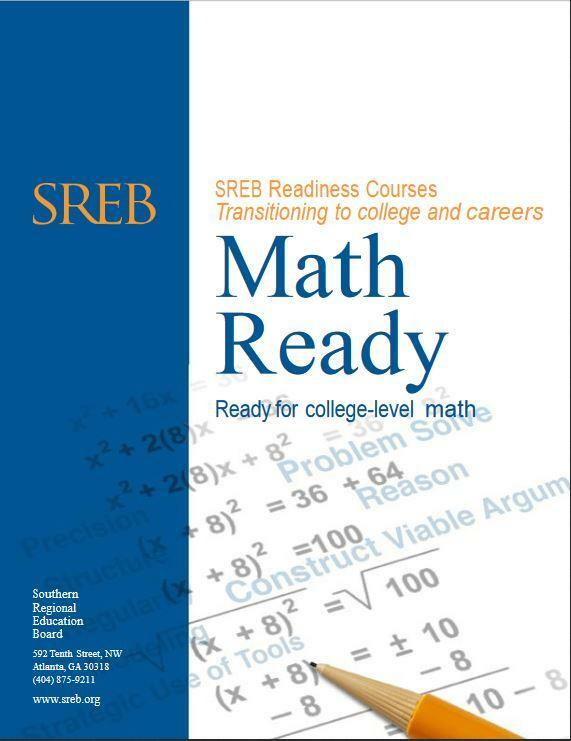 As part of SREB’s suite of Readiness courses, Math Ready was designed to help seniors master math skills before transitioning from high school to postsecondary education and the workplace and avoid costly remediation at the postsecondary level. In Math Ready, seniors increase their problem-solving, critical thinking and communication skills to prepare for college-level mathematics course work.